Low Maintenance. 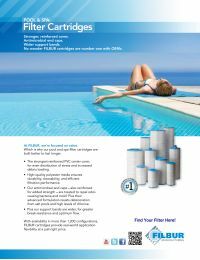 Cleanable & reusable, the FC-3710 Spa Filter Cartridge requires fewer filter replacements, resulting in less hassle and maintenance. NOTE: Our pool and spa filters are made to meet or exceed OEM filters. For help selecting the right filter for your pool or spa, call us at 1-877-335-3339. Our water experts will be glad to help you. Harmsco, Inc is a registered owner of the trademark Harmsco®. This replacement product is not manufactured, endorsed, or approved by Harmsco, Inc. Part Numbers and photographs of products and systems are used for identification purposes only and do not demonstrate an association with Harmsco, Inc.